The electrical power outage has been rescheduled for Monday, May 2nd beginning at 7:00 AM. Click here for details….. This entry was posted in Events, Featured, News on 04/29/2016 by Courtney. 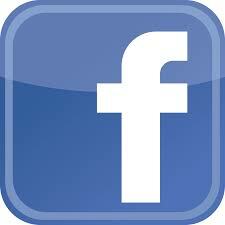 For information and up-to-date notifications from the City of Remsen, click here and Like! There are other options to stay informed here! This entry was posted in Events, Featured, News on 04/28/2016 by Courtney. DUE TO THE WEATHER, THE PLANNED ISOLATED ELECTRICAL OUTAGE WILL NOT HAPPEN TODAY (4/27/16). CITY HALL AND THE LIBRARY ARE OPEN. A RESCHEDULE OF THE OUTAGE IS STILL IN THE PROCESS, ALTHOUGH NO DATE OR TIME HAS BEEN SET. MORE DETAILS WILL BE POSTED HERE AS SOON AS AVAILABLE……. This entry was posted in Events, Featured, News on 04/27/2016 by Courtney. The City of Remsen will have a scheduled ISOLATED power outage Wednesday, April 27, 2016 beginning at 8:00 a.m. and continuing until possibly 6:00 p.m. to make necessary repairs to the electrical system. The outage will be from First Street to Highway 3; affecting the East side of Jackson Street to the West side of Fulton Street. Those customers that the outage will affect have been notified or have had their doors posted. Remsen City Hall and the Public Library, as well as several other downtown businesses, will be closed as a result of the outage. The City of Remsen apologizes for the inconvenience and short notice! This entry was posted in Events, Featured, News, Uncategorized on 04/26/2016 by Rachel Keffeler. The City Council approved and designated June 13-18 as Remsen’s City-Wide Clean Up week. This entry was posted in Events, Featured, News on 04/14/2016 by Courtney.